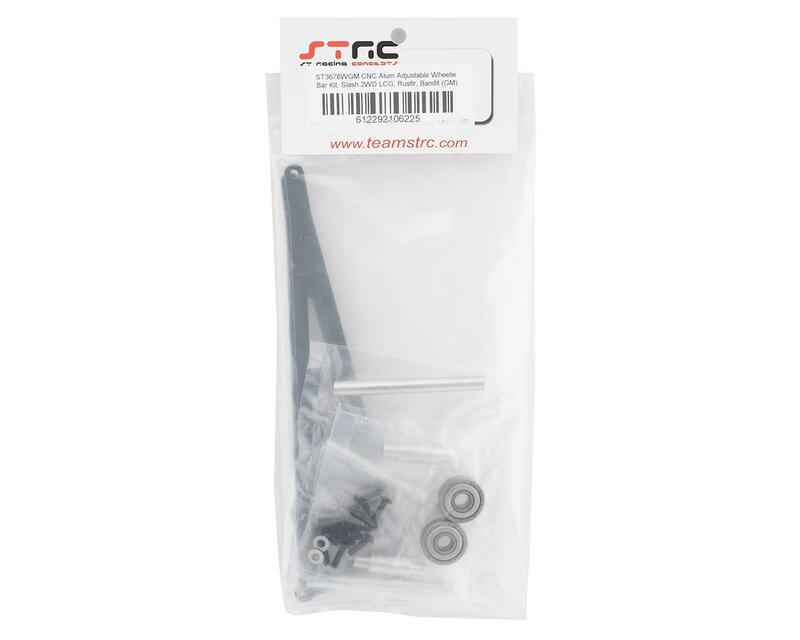 The STRC Traxxas Slash Aluminum Adjustable Wheelie Bar Kit was developed for No Prep RC Drag Racing. With minimal part changes, you can join the fun with your old Traxxas Slash 2WD, Rustler or Bandit and convert it into a hot rod drag racing machine. One of the key components in converting your vehicle to a dragster is a proper rear wheelie bar kit. 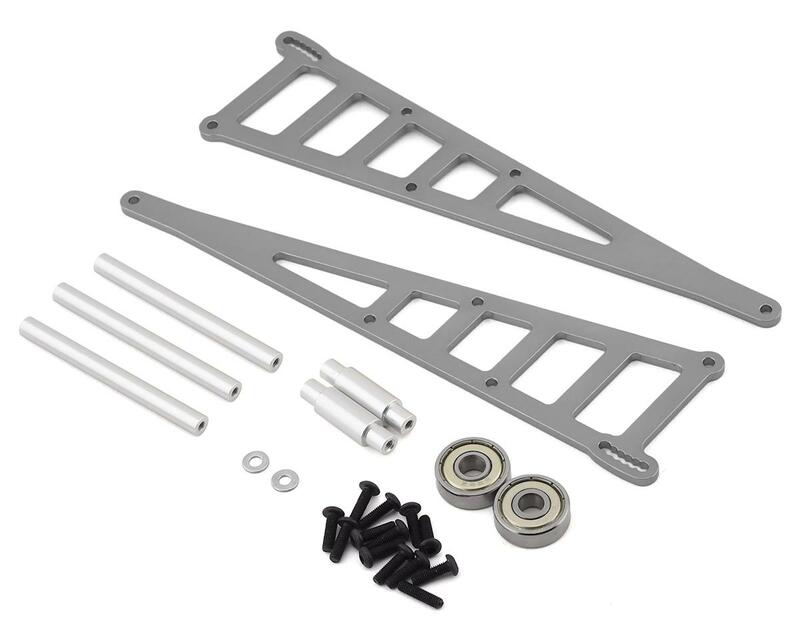 This CNC Machined aluminum wheelie bar kit is 7" in length and allows a variety of tuning options with an adjustable angle, double or single wheel setup options, and limits flex with solid aluminum ladder frame construction. The wheels are high quality bearings to allow smooth rotation and low drag. Compatible with Slash 2WD, Rustler, Bandit models, but for optimal performance, the preferred chassis is Slash 2WD LCG (Low Center Gravity) trucks.